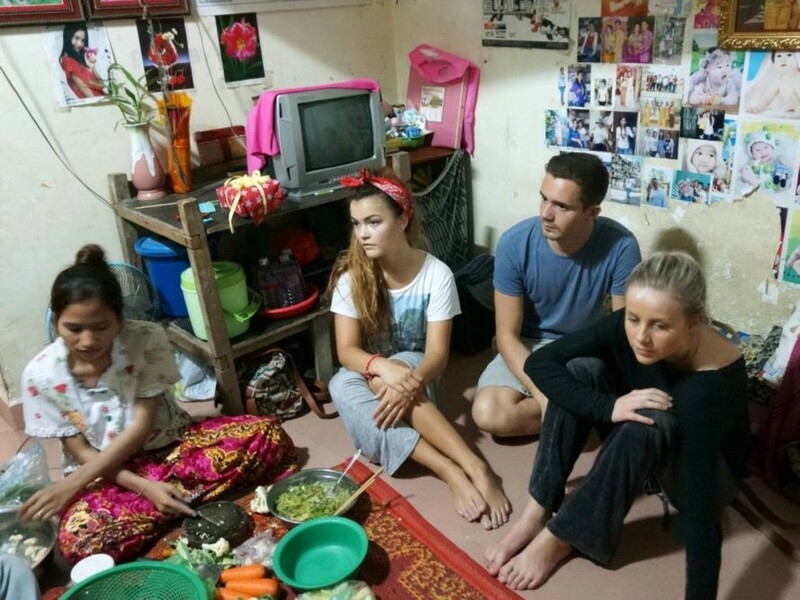 More than a year after their online reality series became a viral phenomenon, Norwegian fashionistas Frida Ottesen and Anniken Jørgensen are ready to head back to Cambodia—this time, not as wide-eyed naifs but as advocates of the garment workers they labored alongside in April 2014. Underwritten by Aftenposten,Norway’s largest newspaper, Sweatshop: Dead Cheap Fashion, has racked up over 7.5 million views worldwide, attention from international media (plus one Ashton Kutcher), along with the Norwegian equivalent of an Emmy. Not bad for a show that featured only subtitles in English. Jørgensen even ended up at odds with Aftenposten, she told Ecouterre in February. Pål Karlsen and Joakim Kleven, the filmmakers behind the series, knew they touched a nerve, and they’re not about to let up. Now crowdfunding pledges on Kickstarter, Sweatshop: A Living Wage seeks to continue the conversation Ottesen and Jørgensen began. The team is halfway toward its fundraising goal, but it need another $35,000 to bring the project to fruition. Jørgensen, ready to step into her role as psychopomp, cut to the chase. “We can’t stop now,” she said simply. More than a year after their online reality series became a viral phenomenon, Norwegian fashionistas Frida Ottesen and Anniken J�rgensen are ready to head back to Cambodia�this time, not as wide-eyed naifs but as advocates of the garment workers they labored alongside in April 2014. Underwritten by Aftenposten,Norway�s largest newspaper, Sweatshop: Dead Cheap Fashion, has racked up over 7.5 million views worldwide, attention from international media (plus one Ashton Kutcher), along with the Norwegian equivalent of an Emmy. Not bad for a show that featured only subtitles in English.